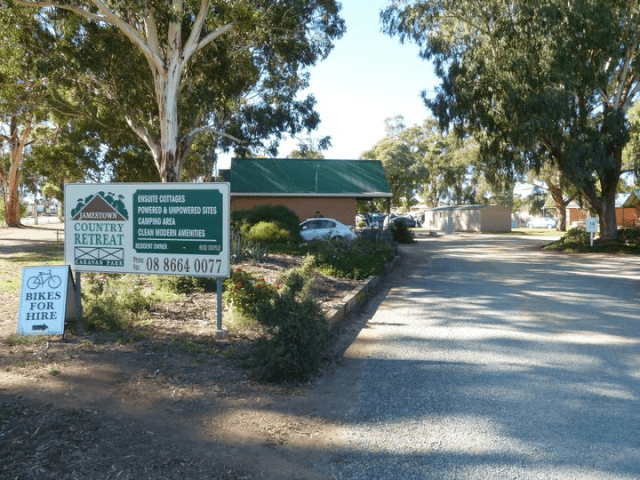 The Caravan Park is situated next to Belalie Creek, 200 metres from the Town Centre. We are aproximately 210 km from Adelaide, en route to the Flinders Ranges. The Park offers 5 ensuite cabins which consist of 1 double bed, 1 single bed and 2 trundle beds all in one room. All linen is provided. They have reverse cycle airconditioning, cooking facilities, microwave, electric frypan, jug, toaster, refridgerator, coloured TV and outdoor setting. One cabin has disabled facilities. We are now proud to say we have a new cabin with two bedrooms. First room has queen size bed, second room has 1 single 1 bunk bed, with ensuite all linen provided. Reverse cycle airconditioner (split system), lounge, colour TV, table & six chairs, full oven & hotplates, and outdoor setting. The cabin is non-smoking. 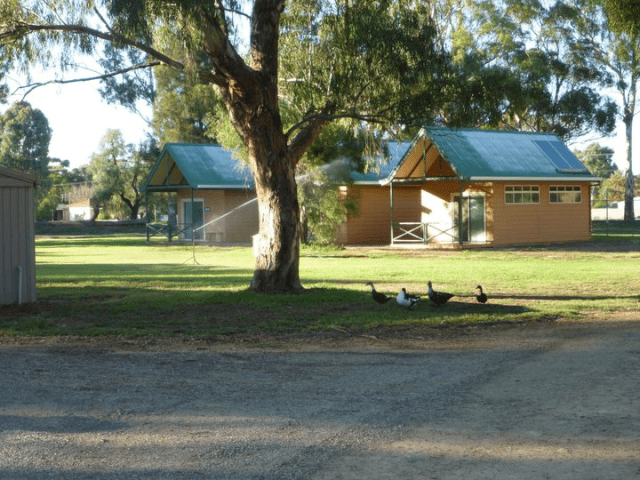 The Park also has shady powered sites, camping area and modern clean amenities. Behind the laundry we have a disabled facility. The Park is accredited and has a rating of 3 stars. It is an ideal place to stop discover the Southern Fliders Ranges.